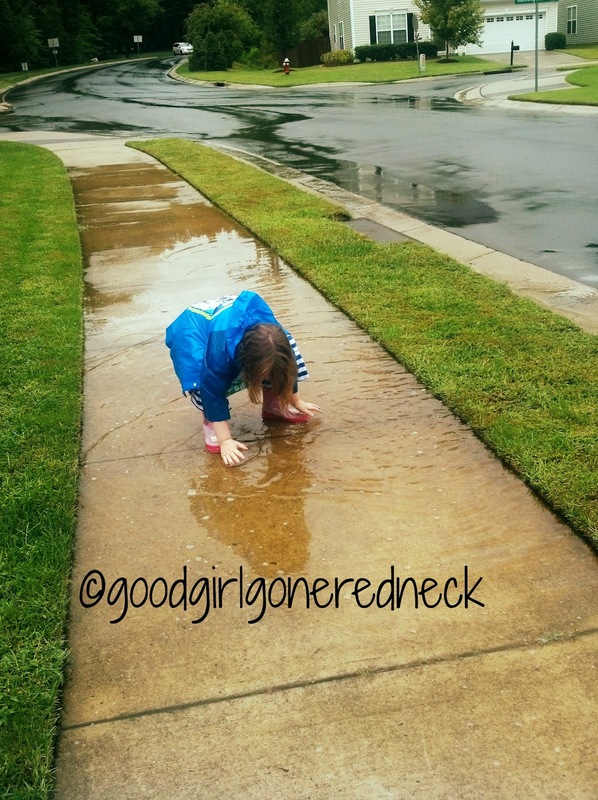 Good Girl Gone Redneck: Rainy morning recap. This might be the first Saturday in a few weeks I am actually awake at a normal hour. I've been sick for a bit. A long bit. I'm doing better, so that's a good thing. 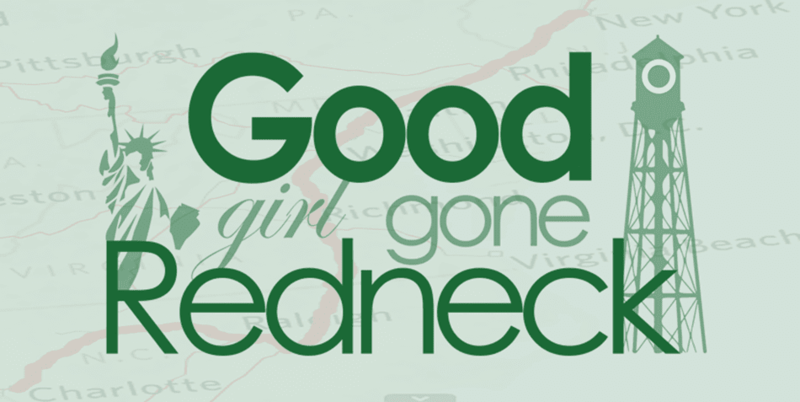 A very good thing. I'm having trouble titling this post. It's a sort of recap, but I'm also looking ahead. So there's that. Is rainy morning recap something that works? Do you have trouble coming up with titles for your blog posts? I find it might be the worst part. Seriously. So here's some recap for you, that looks ahead a bit, too. 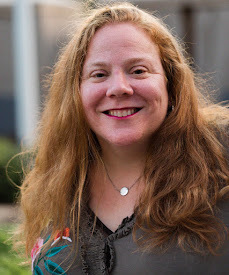 This week I was lucky enough to receive a page critique from Melissa at Momcomm. She pointed out to me that my links become TEENY TINY and I totally agree. Seriously tiny. I'm not sure I know how to fix that, though. I need to do some digging so do me a favor and let me know when you notice that they're better, m'kay? And check out her page critique for me and let me know what you think. Any extra input to offer? Ideas? Questions? I've got an in with Melissa, I can ask her for you if you're too shy to ask yourself! Also, do you remember that I'm doing a weight loss challenge? If not, no worries. I'm always talking weight loss and fitness, so you're bound to be confused. It's all good. Anyway, I'm working at it. And this week I did better. Though I'm not sure if it's because I was so sick I was unable to really eat anything, or what, exactly. So we'll see at Tuesday AM's weigh-in. I also fasted on Wednesday, but I think I made up for that on Thursday and Friday, which is also a part of why I think I'm going to try to make a switch where eating is concerned. Keep reading and you'll find out how! I've got a huge batch of coupons for Frush products. Do you remember my review? They're pretty good. My daughter loves them. I've got $1 off any two FRUSH smoothies and usually they're 1.99/each at our local grocery. Sometimes I can find them on sale for 2 for $3, and then the $1 off makes them a buck apiece. Which is a decent deal. Stay tuned for that post, or let me know if you're interested here. First come first serve and all. I've got some more book reviews coming up. Have you seen my last two? The Unfinished Garden ~ the author commented! The author commented! The Author Commented! and Sharp ~ an intense read. Definitely. Written by David Fitzpatrick. I'm also going G-free. For two weeks. I'm looking for gluten-free recipes, blogs, guest posters, etc. I've got myself involved in the Udi's 14-day G-free challenge. I'll fill you in on more once I know what the heck I am doing. Stay tuned, y'all. This should be interesting. So - what's up for you peeps? Share your favorite posts of the week, whether they're your own or someone else's. I want to be totally and completely filled in! Go! And stay dry - or warm - or cool - or whatever! And work up a sweat as best you can. Gotta get movin! Agree post titles are tough. I feel like mine don't even make sense. My husband is an editor and he also has the hardest time with story titles and headlines. He seriously works at them all day. Titles are hard to come up with. I'm sorry that you weren't feeling good. At least you're still trying and that is the most important thing! !